My teaching philosophy is to guide each student through their own journey of accomplishing their personal best and achieving the goals they set for themselves. I learn numerous lessons from each of my students and hope that everyone in each level of my classes discovers the constant gifts martial arts have to offer. 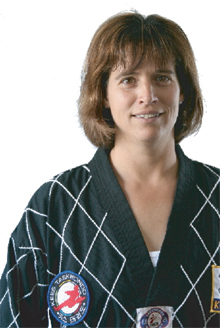 Through my lessons, I aim to enhance each individual’s techniques and to help them master their Taekwondo skills. Keeping structure in mind, I attempt to offer variation in each lesson and hope the outcome of every class is unique and has a positive influence upon all of my students. Having been a competitor myself, to have a student make the Canadian Junior National Team has been a great highlight of my teaching career. It is an honour to teach students starting as young as five years old and to watch them grow into wonderful young adults. As a teacher, I find it rewarding to see the impact of Taekwondo philosophy on teenaged students. It helps them to cope with peer pressure and to develop into disciplined and focussed adults.